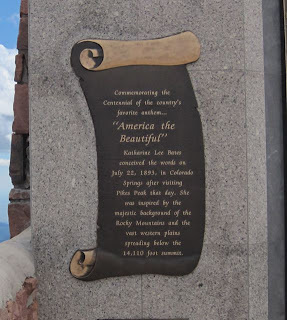 JC and I are spending some time in Colorado Springs, CO before we head to Louisville, KY to meet up with both our daughters and watch C do her first "Ironman". 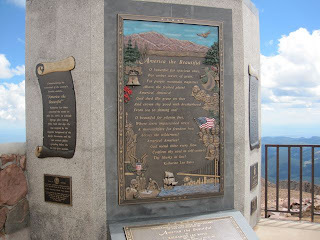 We were very excited to drive to the top of Pikes Peak because we had heard that the views are stunning . . . and they are stunning; in fact, they are FREAKIN' SCARY!!! 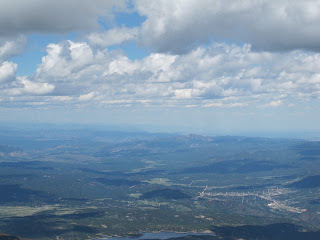 And it's cold up there - or maybe that was just because it's a FREAKIN' SCARY drive. 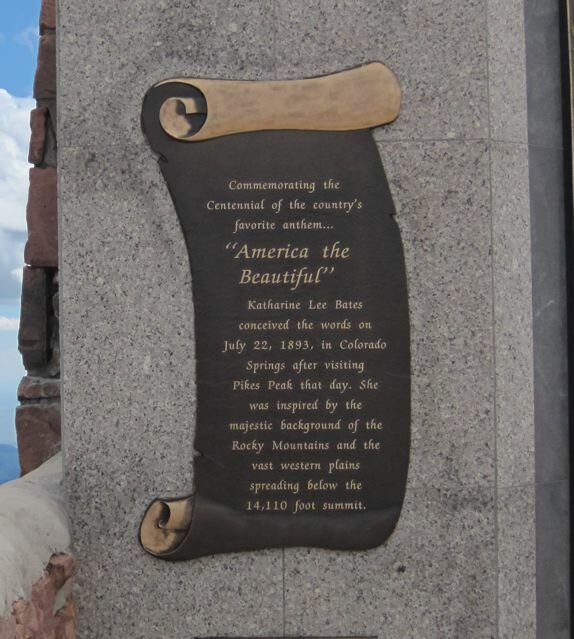 Apparently, the vistas from Pikes Peak were the inspiration for Katharine Lee Bates' "America the Beautiful" and there is a wonderful stone monument commemorating the creation of that lovely song. 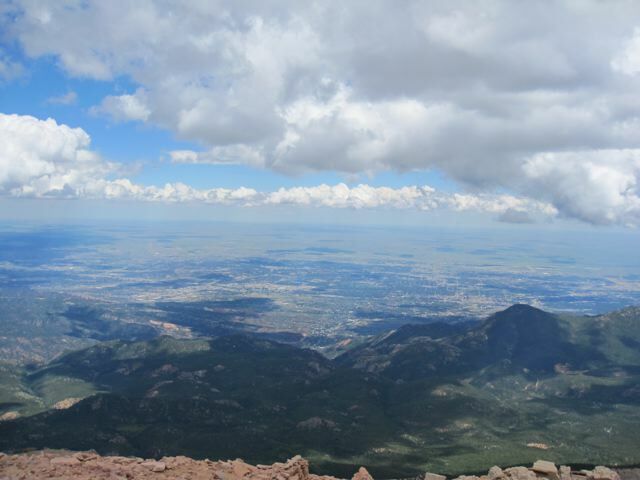 At 14,110 feet, the Peak is not for the faint of heart or anyone with serious health problems. In fact, I saw EMTs who were on duty and they sold little canisters of oxygen in the gift shop. Photographs just don't do these views justice. It's not that bad getting there, really - I'd do it again! It's like being in an airplane . . . but without the fusilage!!!!! Wow! The pics are incredible...it looks like it was a gorgeous day too! I got scared when mom used the word "FREAKIN"! Ha ha....the pics are beautiful.